... but we still like to say Happy New Year to all of you. One year has gone by since we told you about our plans to become certified as sustainable winegrowers. This is why we are quite proud to announce that we are now number 84 in Champagne who may use the logo at the right:: The symbol of sustainable winegrowing in our area. This is the first time we use it. Well, already this year we expect to see the range of good champagnes, that you already know, followed by a new serie of cuvées, made of our own grapes exclusively. The first of these champagnes is from 2013, and it represents the start of our conversion from conventional to sustainable winegrowing as it is the first season where we pruned all vines ourselves to get less and better grapes. 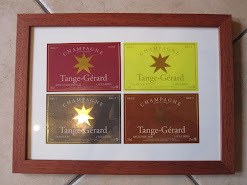 More about the new Tange-Gerard champagne will follow later this year. You may want to know a bit more about sustainability. We have always experimented with methods and materials, and since 2012 we have gradually changed the direction towards ecology. 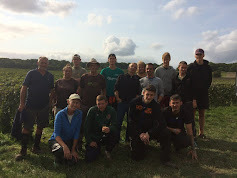 In 2016 we applied for and later qualified to be certified sustainable winegrowers after providing documentation for our practices and choices made and an almost full day examination. As we see it, sustainability is part of a process that will lead us to full ecological production (read more in the new sustainability section). This far, we have gradually stopped using chemi-cals in many areas and will continue to do so as our economy and organization allow. Every year we introduce practices to reduce our impact and print on our environment. "That's the only way I know how to receive people," says Annie, who is currently in charge of the cooking and the greeting at harvesttime. We believe that you cannot overestimate the importance of such a warm welcome combined with French countryside cooking and of course a quick one. All our best wishes for you in the new year.